The world may be inundated with music of all shapes and sizes, but there are a few magical artists who manage to stand out. California’s Mothlight is among that exclusive list: The band’s synth-pop prowess is fully established on their sophomore album Laika, an entrancing journey through technicolor surrealities that will leave you dazed, and utterly satisfied. Atwood Magazine is proud to be premiering Laika, the sophomore album from Los Angeles dream pop trio Mothlight. 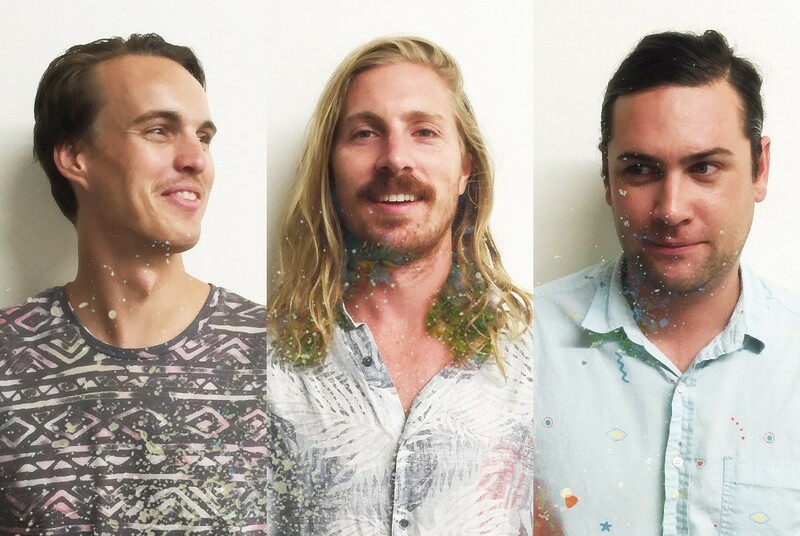 Consisting of Matt Billings, Grant Stevens and Andrew Smith, Mothlight have perfected a colorful, harmonically-rich pop sound that is as infectious as it is mesmerizing. Laika, which comes after the release of singles “Monarch,” “Laika” and “Day/Night,” is the apotheosis of Mothlight’s current state, a synth-driven haze of psychedelic pop, indie rock and shoegaze that envelops the listener in a dreamy warmth. Opening and closing with the mirrored “Hello”/”Olleh,” Laika wastes no time in establishing its sound. Mothlight are here to take you on a dazzling adventure – a chance to lift your spirits up, and observe the world from another vantage point. The warm atmosphere of “Monarch” is the perfect jumping off point: The trio drench themselves in synths, harmonizing all the way as they sing about own artistic integrity and authenticity. “You say lies don’t hurt anyone,” the band sings on the offensive. “But all mine follow me home.” They attack the idea of being fake or insincere, primarily with oneself. There are who will stop at nothing to get ahead, sacrificing everything for a shot at greener pastures. Not Mothlight. The band previously told Atwood Magazine that “Monarch” is “critique based off of personal gain, …written in the voice of someone who is too authentic to play the game and decides to just simply create.” Mothlight certainly fit the bill for an artist that plays by its own rules: The band’s sound is dense, requiring an extra listen to truly embrace the full extent of their wondrous soundscape. Named after the first animal to orbit Earth, “Laika” is a trippy exploration of sound that continues down the band’s experimental sonic rabbit hole. Mothlight offer an ethereal glimpse into our minds and our perception of the surrounding world, likening the fear and excitement of a new relationship to the exposure of a new, ethereal frontier. 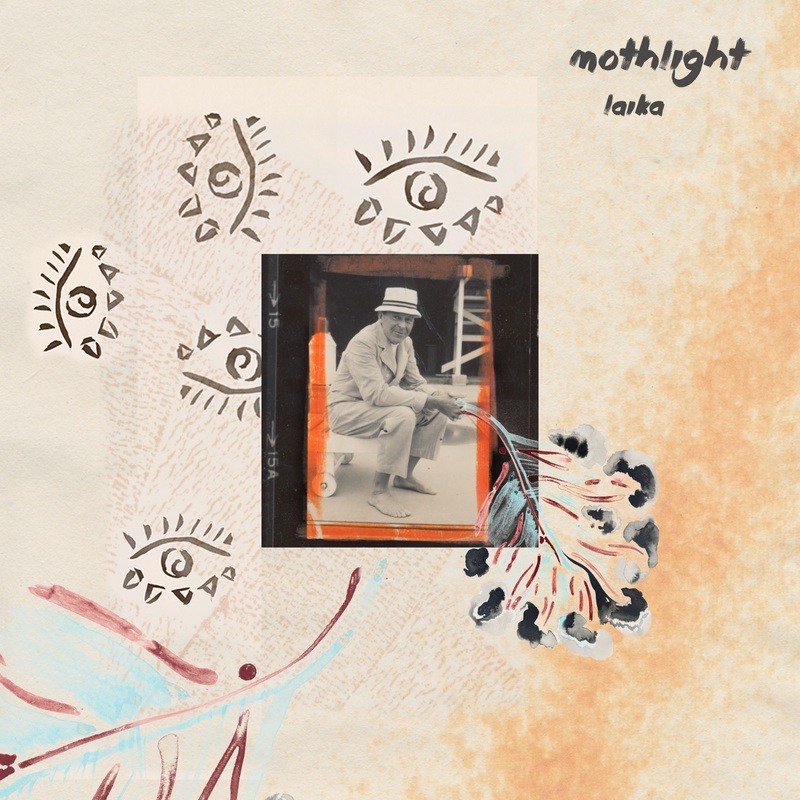 Mothlight’s ability to maintain a distinct, cohesive sound while exploring every inch of its textures makes Laika truly shine in indie pop brilliance. Whether they are brooding or celebratory, the songs on Laika all carry with them this profound rainbow of sound: From the instrumental “Mt.” to the enchanting guitar riffs that sway with majesty on “Knife in the Water,” Mothlight define themselves without sticking too close to definitions: Their signature is that of the psych-pop explorer, always looking for new horizons. Laika is a dream come true, its aural tapestry a wondrous sight to behold. Experience the full record via Atwood Magazine’s exclusive stream, and peek inside Mothlight’s Laika with Atwood Magazine as the band provide their personal take on the album below! Those in the Los Angeles area can catch Mothlight live at The Hi Hat (5043 York Blvd) at their album release show on June 6 (tix and info HERE). Like our last album, Laika starts off with a collaboration, this time with Shannon Inouye, longtime friend and amazing songwriter, so it was a particularly fun one to work on. He actually just released a crushing EP called Holidays. I wrote this song while getting into a new relationship. It documents the excitement and fear of exposing so much of yourself to someone new. Laika is the name of the first dog shot into space, and we tried to give the song a spacey vibe to reflect the unknown territory I was entering with my new partner. Day/Night is a particularly personal one for me because it’s about the fading memory of a lost love, and it was actually one of the first songs we wrote for this release. Our drummer Andrew created some textures by looping and reversing a bassline. I had just purchased a Korg Minilogue and was looking for something to test it out on so I added synth and reworked the beat Andrew had provided. We later realized that it provides a nice breather between the two halves of the album. I wrote this song as a response to the challenging process of creating our previous album (it was challenging again this time). I wanted to just get out some catchy guitar and write a pop song and be done with it. Naturally this song took the longest. Writing in a semi-traditional song structure and relying on pop conventions is really uncomfortable for me so I was trying to get outside of my normal routine and experiment. The music world is filled with substance abuse and writing about it is an attempt to remove myself from it. Musically, we’re all really inspired by bands like Can that linger on an instrumental section and letting it breathe so we tried to incorporate more of that into this track. This is basically a product of messing around in Logic with pitch shifters. We wanted something to bookend the album, to introduce the vibe and then send it off like a palindrome, so we literally just took Hello and reversed it.